Are you looking for a delicious chocolate recipe with a difference? If you are, you’ve found it! 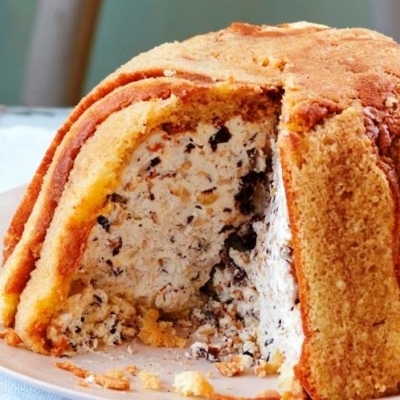 Here’s my chocolate and hazelnut ice cream in a marsala sponge shell for you to enjoy. For those of you who have never made an ice cream cake, you will probably think that it would be impossible to tackle at home. That is just not the case – you will be surprised at just how easy it is! This is a traditional northern Italian cake that will satisfy you in every way. You can substitute the Marsala wine with Port or a dessert wine if you prefer, and do buy good quality chocolate as it will make all the difference to the taste. 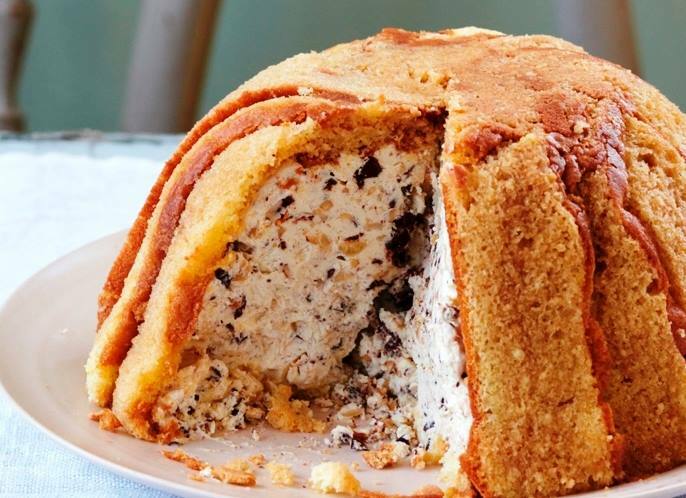 Feast your eyes on the finest chocolate and hazelnut ice cream in a marsala sponge shell! It’s straightforward and fun to make this great dish. Simply follow the instructions below and get the perfect result. Grease a 22cm diameter spring-form tin and dust it with flour, tapping out any excess. Preheat the oven to 180°/gas mark 4. To prepare the sponge, place the eggs and sugar in a large bowl and whisk with an electric whisk for 15 minutes until pale and very fluffy. Pour in the vanilla extract. Sift the flour onto the egg mixture and quickly fold in with a large metal spoon. Once all the flour has been absorbed, pour the mixture into the tin and bake in the middle of the oven for 40 minutes. Remove from the oven and place on a wire rack to cool down. To make the filling, pour the cream in a large bowl and add in the icing sugar. Whip until fluffy. Add in the chocolate, hazelnuts and 1 tablespoon of Marsala wine. Let it rest into the fridge for 15 minutes. Pour the remaining Marsala wine in a bowl and pour over 100ml of cold water. Mix all together and set aside. Line a 1.5litre round bowl with a large sheet of cling film. Cut the sponge into 1cm slices and use them to line the bowl. Brush the Marsala mixture over the sponge. Pour the cream mixture into the centre of the bowl and gently knock the bowl on the counter top to make sure that there are no air bubbles. Cover the cream mixture with a lid of sponge slices soaked in Marsala wine. Cover with cling film. Freeze the Zuccotto for 4 hours. Before serving, place the Zuccotto into the fridge for at least 1 hour. 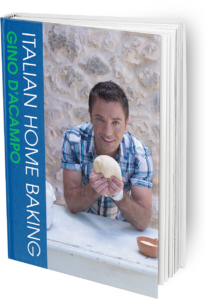 Once you’re done, simply sit back and enjoy your chocolate and hazelnut ice cream in a marsala sponge shell and don’t forget to check out other great authentic Italian recipes including great antipasti recipes, Italian pasta recipes, Italian soup recipes, Italian beef dishes and authentic pizza recipes.